Actor Salman Khan, on Monday, was acquitted by the Rajasthan high court in the blackbuck and chinkara poaching cases. Khan was accused of killing a blackbuck and a chinkara in two separate incidents in 1998 along with actors Saif Ali Khan, Sonali Bendre, Tabu and Neelam during the shooting of a film. In 2006, he was sentenced to one year and five years of imprisonment for the two cases under section 51 of Wildlife Protection Act. He came out on bail, challenged the verdict and subsequently had appealed to the Rajasthan High Court which had finished hearing the cases in the last week of May. It had reserved its decision at the time. The verdict, yet again, brings into focus the alarmingly high rate of acquittal in wildlife-related crimes. Housing five tiger reserves, Maharashtra, for instance, recorded only 17 convictions of the 147 court orders between 1995 and 2014, with a success rate of 11.56 per cent. The latest data available from National Crime Records Bureau of 2014 says that the out of 5,835 cases reported under environment-related offences, 770 cases were reported under the Wildlife Protection Act, for which, 134 people were arrested and fewer were convicted. As many as 59 tiger deaths have been recorded across the country from January 2 to July 17, 2016. The causes of deaths are known only in 12 cases, according to the official database of the National Tiger Conservation Authority (NTCA). Of these 12, four cases are of tigers being poisoned and one is confirmed to be poaching. When contacted, the Wildlife Crime Control Bureau refused to comment on the status of investigation. Why does wildlife crime often go unreported? “Foresters tend to conceal the information on poaching. Most of the poaching cases either do not come out or are simply attributed to various other ‘non-suspicious’ factors. Every forest guard is so burdened today that even if they see a tiger carcass lying there with suspected situation of being poached, they would simply try and not register it. Once he brings it to the notice of the higher authorities on record, it will be hassle to transport it and then appear at the court as witness. He may not have any money and he will be the sole breadwinner for his family. How can we expect that tiger conservation will be strong in the country?" explains Shekhar Kumar Niraj, head of TRAFFIC, the wildlife trade monitoring network, in India. Moreover, if the animal has been poisoned or dies naturally, the carcass starts decomposing in a matter of few hours. In less than four days, the carcass is not recognisable, say experts. The chances of forest guards spotting a carcass before this time are slim. “A lot of mortality cases fall under this category. The only way to mitigate this is to record the details correctly,” says K Ullas Karanth, conservation zoologist. After all these hurdles, the case finally reaches the court where the rate of conviction is abysmal, owing to “the lack of evidence”, points out Samir Trivedi, an environmental lawyer. NTCA has issued an SOP for dealing with tiger deaths in 2013. According to the SOP, once the carcass is spotted, the officials have to systematically record the circumstantial observation and extensively photograph the scene. After collecting the required evidences, the corpse is sent for post-mortem examination, following which the visceral samples are sent for forensic analysis to the laboratories with domain expertise for DNA profiling and histopathological tests. Before disposing off the carcass, the post-mortem report has to be finalised and sent to the Chief Wildlife Warden keeping the NTCA informed. If the post-mortem report is still being prepared, a preliminary report has to be sent immediately. To conduct the DNA profiling and histopathological test, NTCA confirms that there are only four labs authorized—the Wildlife Institute of India (WII) in Dehradun, Centre for Cellular & Molecular Biology in Hyderabad, National Centre for Biological Sciences Research, Bengaluru and Aaranyak, a Guwahati-based NGO working in tandem with the state government. “These few labs are overburdened to the extent that there are over 3000 pending cases in the court awaiting the completion of laboratory examination,” says Niraj. “In most cases, the carcasses rot before being sent for investigations so we cannot prove the cause of death. In case the accused is caught red-handed with the animal parts, the witnesses turn hostile or the prosecution authorities do not shown up in court. If the accused pleads guilty they are convicted. Even in the same case, those who plead not guilty are acquitted and the absconders are discharged. Or else, the seized articles are not produced before the court by the investigation authority. It reflects the overall lack of seriousness when it comes to persecution under the Wildlife Protection Act,” he says. Even in cases where the accused is proven guilty, wrong sections under the WPA are cited, says Trivedi. “The accused are not sentenced to the mandatory minimum punishment prescribed under the Act. Offences in relation to animals specified in Schedule I and Part II of Schedule II of the Act carry a prescribed penalty of not less than three years imprisonment, which may extend up to seven years and a fine of not less than Rs10,000. These cases are non-compoundable. However, there have been cases in which the seizure of a blackbuck skin led to only six months of imprisonment and a paltry fine of Rs 2,500. 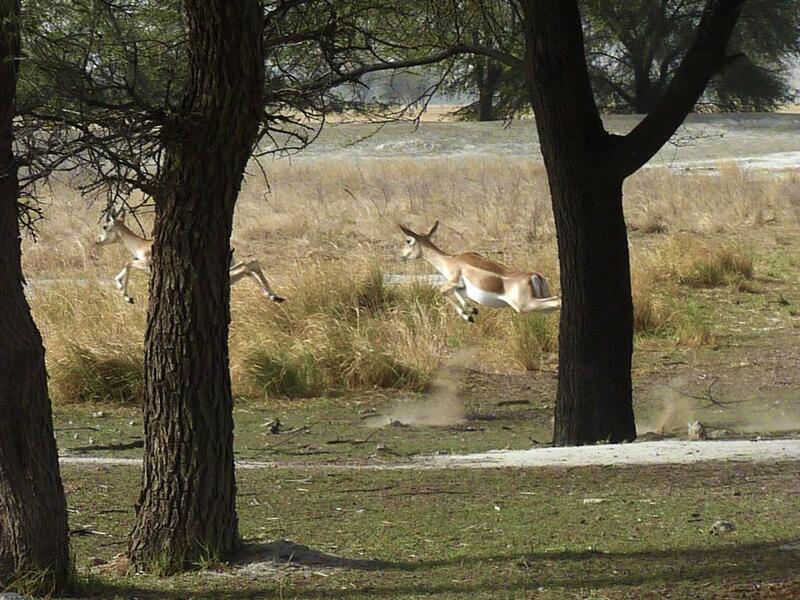 Blackbuck is a Schedule I animal. Take today’s case of Salman Khan’s acquittal. The key witness Harish Dulani, who was the driver of the vehicle that was allegedly used in both the poaching cases, was never available for cross-examination and the defence argued that his statements could not be relied upon. “So, did the blackbuck and the chinkaras commit suicide?” Trivedi remarks sardonically. No I do not agree. You cannot generalize every forest officer ( let me specify even a forest guard is also a forest officer as per provisions of the Indian Forest Act 1927), by saying that , the foresters conceal the forest/wildlife offences. For your information, in the case of chinkara hunt committed by actor Salman khan , it was the forest department and foresters of Rajasthan who dared to register the case against the culprits (Salman and others like Tabbu, Sonali bendre , Saif ali khan and Neelam), . Surprisingly, the honourable Higher Court did not emphasised the Government to produced the prosecution witness Harish durani. This is now appearing through daily new papers. Thanks to the Rajasthan forest department, now they decided to go in Supreme Court.